At GALE Pacific we don’t just value diversity we celebrate it. We are committed to providing an inclusive working environment that embraces individuals regardless of gender, age and background. Our Vision is to be the leading provider of innovative and practical products that protect and enhance the environments and lifestyles of our customers. We propose to achieve this through a commitment to embrace and live a core set of Values ... Integrity .... Respect .... Collaboration ... People .... Community and Innovation. Our GALE employee engagement committee ensures that our determination and relentless pursuit of business success is rewarded with recreational, team-based activities. These activities are not just about engaging our team but supporting the community at large. We do what is right. We are honest and ethical, worthy of the trust of others. It is the price of entry to our team. We believe in the power of working together in a collaborative way. Every function and every role is as important as each other. People are the heart and soul of our business. We continually strive to provide a safe, supportive and engaging environment for our team to achieve their full potential. 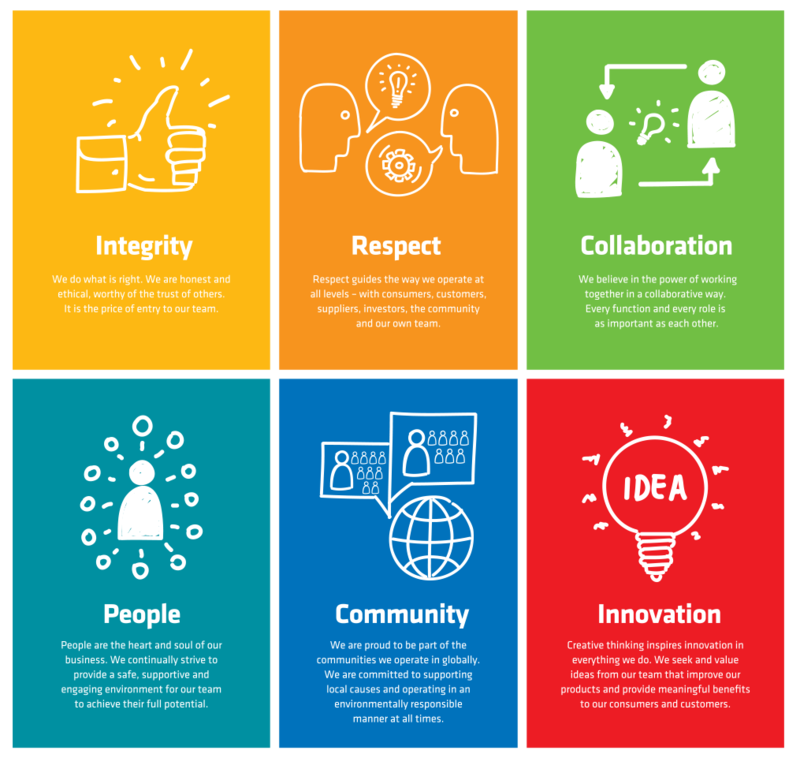 Respect guides the way we operate at all levels - with consumers, customers, suppliers, investors, the community and our own team. We are proud to be part of the communities we operate in globally. We are committed to supporting local causes and operating in an environmentally responsible manner at all times. Creative thinking inspires innovation in everything we do. We seek and value ideas from our team that improve our products and provide meaningful benefits to our consumers and customers.